Exhibitions - Leigh Gordon Artist australian artist, fine art marine artist, modern, design, colourful, original, interior, decorative. 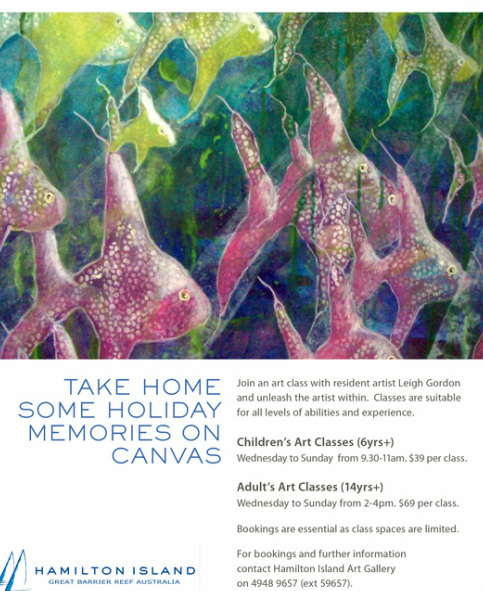 Visiting Hamilton Island - then visit the gallery, join in an art class and take home your own artwork as a reminder and keepsake of your holiday. 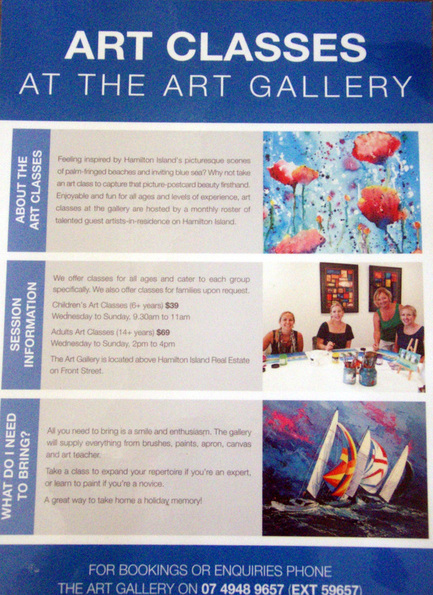 Download your free Hamilton Island iphone app today for information on all the islands art activities. 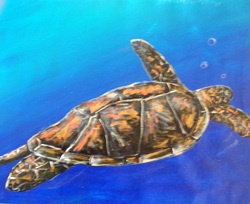 Paint a Turtle, an Island scene or colourful fish. Kids classes 9.30am Adults 2.00p.m.